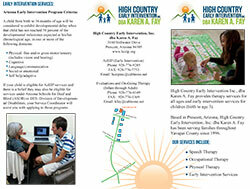 High Country Early Intervention dba Karen A. Fay staff registration. If you require access to the HCEI document portal, where you can access a number of documents related to your work, this is the place. Once you register however, we will review the registration to make sure you’re one of our people. That can be immediate, or take up to 24 hours during the work week. If you need immediate access, call Anna or Matt (642-0100).